Lifestyle Physical Therapy (New York) - Book Appointment Online! 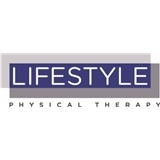 At Lifestyle Physical Therapy, we believe that high quality, one-on-one, comprehensive care is not only possible, but necessary for a long, happy and healthy life. We use a combination of the most up to date manual techniques and therapeutic exercises to help educate the patient on their condition and ensure fast, safe and effective results. We treat patients of all ages, impairments, functional limitations and activity levels. In today’s fast paced society, we often fail to focus on our health and wellness needs. At Lifestyle, it is our goal to create a fun and friendly environment that blocks the outside noise and puts the focus back on you. Super friendly and gave me lots of helpful exercises. He checked my insurance ahead of time, which I appreciated. He was able to accommodate schedule changes, as well. All in all, I highly recommend Matt.